What car will I be driving and is it manual or automatic? My car is Ford Fiesta 1.5 TDCI and has a manual gear box. 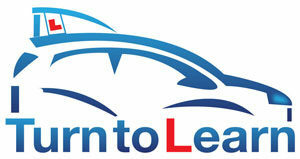 Great learner car for everyone. How do I book the practical test? Book through this website – www.gov.uk/book-driving-test or call the DVSA on 0300 200 1122. The current driving test fee is £62 on a weekday and £75 on a Saturday. This is made payable to the DVSA. There is a test centre in Maidstone. When should I start learning the theory? 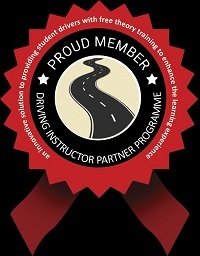 You must pass your theory test before the DVSA allow you to book a practical test and the more you know, the less time we will need to spend learning theory on the lessons which will reduce the overall cost. The test should only be booked through www.gov.uk/book-theory-test or call the DVSA on 0300 200 1122. The current fee for a car theory test is £23 and there shouldn’t have no additional costs. The nearest theory test centre to Maidstone is in Chatham. When & where do you teach? I teach Monday to Friday, times do vary. I work Saturday mornings as well. I mainly teach in and around Maidstone but worth calling and asking if unsure. How does the practical test work? The practical test is around 40 minutes long. You will be asked two vehicle safety questions at the start, then an eye sight check where you need to read a number plate at a distance of around 20 metres. You are then expected to drive on various types of roads and conditions safely and show good understanding. The test will involve 10 minutes of driving independently and you will also be asked to carry out one reversing manoeuvre and may also be asked to carry out an emergency stop. What car do I drive on the test? The same car you have learnt to drive in. On the test day we generally arrange an hour lesson before the test to practice driving and manoeuvring before heading to the test centre. Once we get there we go in and wait for your examiner and they take my place in the passenger seat for 40 minutes while the test is being conducted. Is that all I pay on test day? On the test day I have to charge for the time that is booked out of my diary. This normally works out 2 hours charge, unless we have arranged an extended lesson beforehand. If you need to cancel, you need give notice in at least 24 hours otherwise I may have to charge for the full amount. © 2017 Turn To Learn. All Rights Reserved.